Time gets away from me so fast. There are days that it seems like I run and run and never get anywhere. It’s those days that I crave the rest that Psalm 23 talks about. “He makes me to lie down in green pastures; He leads me beside the still waters. He restores my soul; He leads me in the paths of righteousness for His name’s sake.” These verses remind me to slow down and to help me be still. They remind me to follow His lead. They remind me that rest and peace can be found even in the middle of chaos. Don’t underestimate the power of time spent with God. When Moses met with God, his face actually shone with the glory of the Lord. How cool is that?! Spending time with God shows on us. Not only that but when we meet with Him, He can give us what we need. He can give us wisdom for our situation. He can give us peace & joy. He can restore us. We can rest in Him. So slow down and make some time for Him. He’s waiting for you. In my quiet time with the Lord a few years ago, I kept hearing the music to Billy Joel’s “Vienna.” I often have random songs in my head, so that’s not anything unusual. A few days ago it was “I Think I Love You” as sung by David Cassidy of the Partridge Family….but I digress. When I looked up the lyrics to “Vienna” I was blown away! Here are the lyrics to “Vienna” with Vienna replaced with God’s Name. The Holy Spirit waits for you. 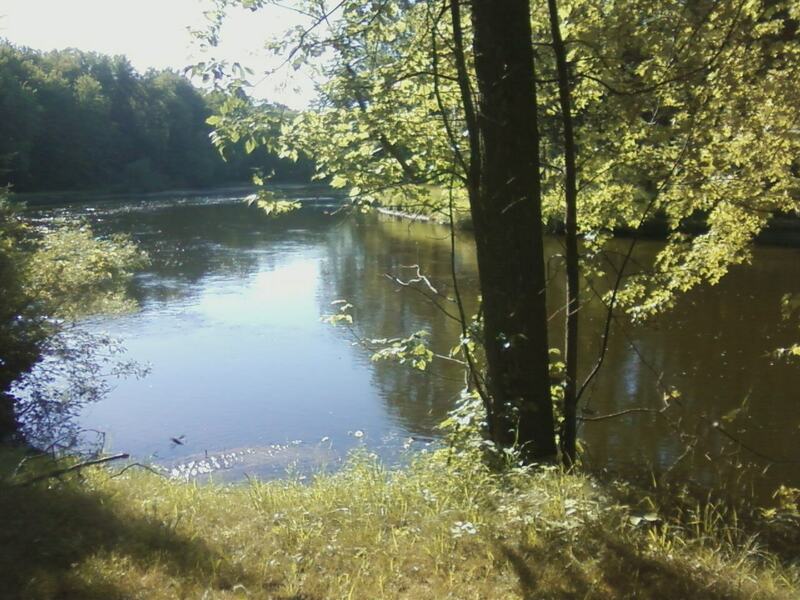 PS: Photo taken of Muskegon River in 2012 by me & my phone. By Jillbeingstill in Musical Monday on May 13, 2013 .